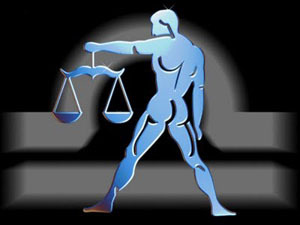 Libra expects more gifts to come by whenever there is something good in their lives. They try and get gifts from each and every people around them and expect them to sheathe away perfect gifts on them. With Libra, you could make them happy by giving them more. A simp le tip which might be very helpful to win hearts of Libra by gifting is, you should give them in small bits but in larger numbers. The greater the numbers the more Libra would be happier. They would keep those gifts with sheer care and would appreciate them quite often. They also love to open their gifts with style which gives them a felling of togetherness. Getting a gift for Libra requires a proper idea of their personality likes and dislikes prior to delivering it to them. Beauty, peace, harmony and comfort are the elements that they seek through their gifts. In order to make them more spontaneous and break the monotony of their lives, they want their gifts to be more subtle and gentle. You could not get them by seeing on their face as they have an inner self within them, which needs to get pleased by a gift item. Textures, curves and bent lines on gifts make them more prone to the gifts and they love to be close to the nature. They hate to have inoculate objects around that makes them more inevitable and ruthless. This might sound a little obnoxious to you, but by following the mentioned points you would come to know what exactly excites the Libra and what features and gift materials they love the most. Libra is well organized and loves to get their homes being decorated. They have special liking for home decors and elegant house apparels. You could gift them candlesticks, image frames, a piece of great art or anything that could make their house walls look more elegant and beautiful. You could also gift them some best books to read as they are also collectors of books and study materials. They love to make their own collection of epics and try and make library of their own. You could also take them to dinner and some offer some wine as they also love to have quality food with a great ambience and mood. They love to spend a great, cool, and composed evening sitting at a table sipping coffees or perhaps a champagne. This would make them feel special and keep them out of this world. If you are a Libra, you must know what music means to you! Libra has a special connection with music and they love to make their own music collection and Mp3s. You could gift Libra a great collection of music CDs of their choice to make them awfully happy. Above all, Libra enjoys your company the most. They love to get some care from others. If you can spend quality time with Libra for a whole day long, then this could become the best gift possible for any Libra and they would be really rejuvenated to begin all over again.